Does the Township pick up my garbage? No, trash pick-up is the responsibility of the resident. There are several companies that pick up garbage listed in the phone book? Is high-speed internet available in Attica Township? There are several companies that provide high-speed internet service listed in the phone book. How long is the walking track that goes around the park? How many acres are needed to have horses? The property must be a minimum of 5 acres with a minimum of 300 foot or road frontage. Please call the office for more information. Is there a drop box if I need to drop my taxes, absentee ballot or other paper work after office hours? Yes, there is a secure drop box on the front of the Township Hall. Who do I contact to rent the Township Hall? Contact the hall manager, Thelma Winslow, at 724-1736. Can the pavilions in the park be reserved? Starting April 2008 the two largest pavilions can be reserved. The rental fee for Township residents is $50 plus a $50 deposit, and for non-residents the fee is $100 plus a $50 deposit. Call the Township office if you would like to reserve a pavilion or if you have any question. The office is open Monday through Friday 9 a.m. – Noon. Are garage sales allowed in the Township? Yes, you may have 2 garage sales a year, with a maximum of 7 days each. You do not need a permit for a shed that is 10×10 or less (100 square feet), it does however need to meet setback requirements. Three dogs are permitted without a kennel permit. 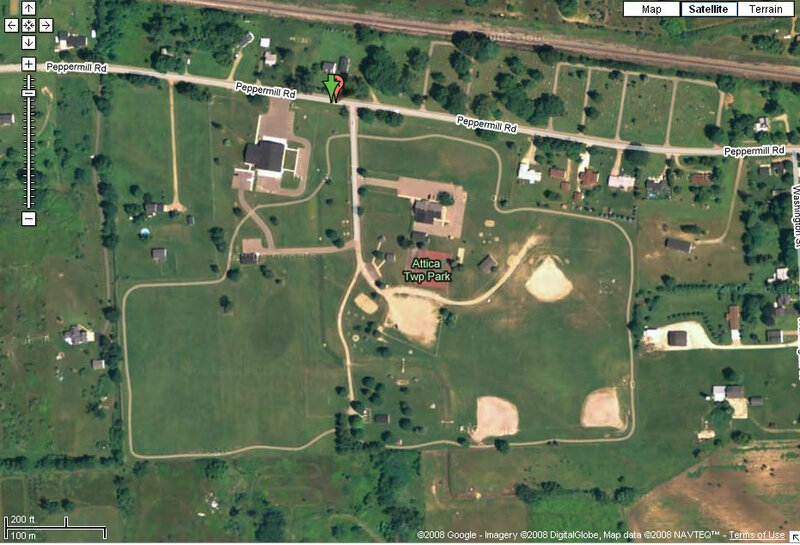 What is the minimum lot size in Attica Township? The minimum lot size it 2 ½ acres with 165 foot of road frontage. What do I need to do to divide my land? You need to come into the Township office and speak with the supervisor, Al Ochadleus, he can tell you if your land can be split. Can I have a pond on my property? You can have a pond if your property is a minimum of 5 acres. The pond has to be 100 feet from property lines and 100 feet from the road right of way. You need to get an application from the Township office (download it here) and there is a $150 application fee. Where do I get the green number address signs? Contact the Township office and order one through the Attica Township Fire Department. The cost is $15.